Welcome to our conceptual fusion restaurant & cocktail bar in the heart of the Vale of Glamorgan's attractive seaside town Penarth. As soon as you step through our doors your magical experiance will begin. Sip one of our stylish signature cocktails, or maybe a chilled to perfection glass of champagne, while you peruse our menus. Our A La Carte menu changes with the seasons to offer you continous fresh dishes from locally sourced traders & Welsh farmers. We enjoyed every moment at Etc. The service, food and ambience was top notch. A totally unique place with an adventurous menu. Great cocktails too! Came for my wife surprise birthday with 16 (fussy friends) from start to finish nothing was too difficult for the staff here we all truly had the best evening. there was a singer also which was such a great add to the night. We came to the Vegan Tasting Menu night and we were both so impressed with everything. The food and cocktails were just fabulous and the team are so welcoming and knowledgeable about the menu. 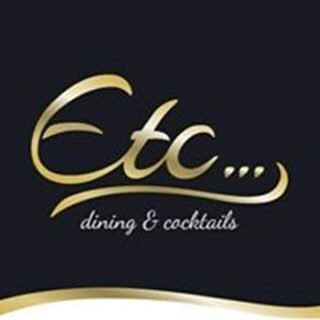 I booked Etc as it was a special occasion and we had close family members celebrating. The service was not good, the cocktails poor (one had a horrible bitter taste which none of us could drink, and three of my party advised that I should send it back - which I did, but the waitress refused to take the price of the cocktail off the bill). This left us feeling disappointed in our special occasion. The last time I came the service was fantastic - some of the best we have ever had, which was one of the main reasons we booked for our family celebration - so it was so disappointing that the service was poor on this occasion. The service was also very slow, leaving us all very hungry. Fabulous Mother’s Day Meal. We had a few diners with food intolerances but you accommodated us with no problem at all. Couldn’t do enough for us. Thank you to all for making our day so memorable. Will definitely be returning (again!). Amazing! Third time I’ve been and we’re already planning out next visit. Very creative food and friendly staff, spotless and love the music choices! Absolutely fantastic experience yet again! The service was quite impersonal. Our waitress didn’t really chat to us or make us feel that we were ‘chefed’ for. The music was quite loud at times and unfortunately the service was added without notice. The restaurant is lovely and nicely decorated. I enjoyed my amaretto sour! Such a fantastic evening for my mums birthday. She had a great time with the smoking cocktails. Food was amazing and would recommend the pork belly! Beautifully presented food that tasted AMAZING! Good service and lovely looking restaurant. Myself and wife went for an anniversary meal on a Wednesday. Lovely atmosphere and had a very nice meal. Will definitely visit again for a nice occasion.